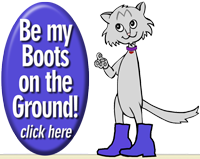 Stroll through my site and you will see my amazing adventures, the people and animal friends I meet, and how we help each other in many ways. All profits from the sales of our books and other fun stuff go to help animal friends, as well as human children. 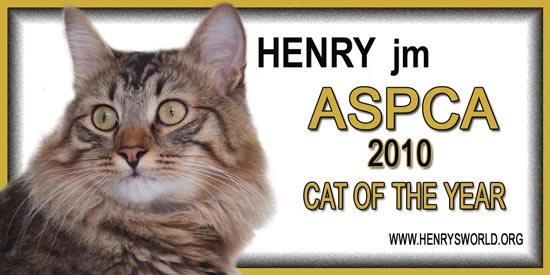 Henry The Remarkable Three-Legged Cat has gone over the rainbow bridge. He is now with his beloved Dr. Mom and Dollydog, who made her transition five months ago. From the other side, he has sent a special video to all of you (below) and says he will do all he can to bring healing to those in need from the other side of the bridge. His paw can reach deeper and even further now that he is Henry JM,CC (just me, cosmic cat). CLICK HERE for Cathy's letter. We'd like to ask you some questions: hover over our photos to see them! If you’ve answered “YES” to some of these questions,YOU are in the RIGHT place. Henry Introduces his Girlfriend to the World! This particular love story is like nothing you’ve ever read before. 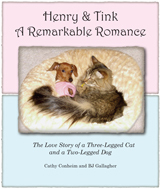 Two unlikely lovers — a three-legged cat named Henry and a two-legged dog named Tink — meet most unexpectedly, in classic Hollywood “cute meet” style.Tink is unlike any girl Henry’s ever met — and at first he doesn’t know quite what to make of her. Click here for more information and to read more about the book. --> Click here to see the video about their love story. After my year at Julian Elementary my Moms wanted to do something to commemorate and thank all those who made it possible. Team Henry went into gear and we worked with my incredibly creative paw pal, designsbyginny.com, and we made a hardcover book for Sharon, Sue Anne and the superintendent. You can all read it now by downloading the PDF here. It starts with the front and back cover on one spread. The double pages lay flat. It is, as described, a real labor of love. Click here or on the photo to see the video!